Welcome to the Intercultural Learning in Asia website! Please access this site to find information about the Ready for Take-Off project, its rationale, approach, intended outcomes, dissemination activities and resources. At the conclusion of this project in 2015, the project team has since published a chapter in the Handbook of Research on Study Abroad Programs and Outbound Mobility, published by IGI Global in 2016, and edited by Donna M. Velliaris (Eynesbury Institute of Business & Technology, Australia) and Deb Coleman-George (University of Adelaide, Australia). The chapter is entitled, Critical Components in Preparing Students for Short Term Study Tours to Asia (Chapter 8, p. 188) and is available at the IGI Global website. You can read the asbtract here. A copy of our final OLT report is available for download here. Intercultural learning, in a practical sense, involves learning how to engage, interact and communicate with people from different cultures. Training in intercultural learning can include gaining knowledge about culture, history, geography, values, lifestyle, customs, taboos and norms of a society, how to communicate effectively, and how to engage in business endeavours or conduct negotiations in the professional realm. As our campus, workplace and society becomes more culturally diverse, and as globalisation of business increases, a graduate’s intercultural competency combined with an understanding of others’ worldviews becomes increasingly valued. Intercultural sensitivity is crucial to enable people to live, work and study with others from different cultural backgrounds. Graduate development needs to include global learning and intercultural awareness because all students will inevitably be ‘global citizens’ as they pursue life and work goals in the 21st Century. 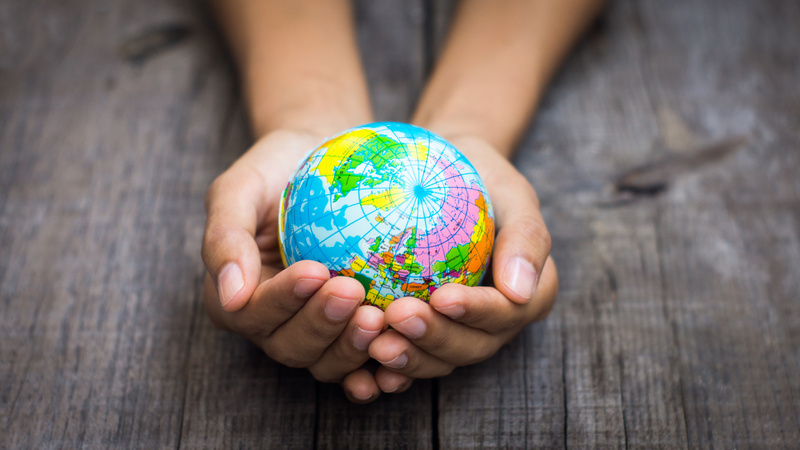 Global citizenship is often recognized as a priority in student learning outcomes and mission statements. Study abroad programs are considered to be an important activity for achieving this goal. It is not surprising that across the Australian higher education sector, there is a growing commitment to outbound student mobility. Why is intercultural learning important? “Our country will benefit enormously from having young ambassadors from Australia who have an understanding of and an insight into the region that only comes from living and studying and working there.”– Minister for Foreign Affairs, Julie Bishop speaking at the University of Sydney, May 16, 2014. In light of the globalised higher education arena, current growth in outward bound student mobility and the introduction of the New Colombo Plan, universities are seeking to better equip their students in intercultural learning to facilitate positive engagement with Australia’s Asian neighbours. This can be achieved by implementing tools that will support students who embark on study-abroad journeys and better prepare them for these valuable experiences. Drawing on the contributions of OLT funded projects, Bringing the Learning Home and the Good Practice Report: Work Integrated Learning, this project aims to address the less researched areas of pre-departure support for mobility experiences. The project will build intercultural capacity within Australian higher education by developing an evidence-based model to enhance the preparedness of students participating in short-term study tours to Asia. The model will contribute to learning modules and functional tools to help students embrace change, establish shared understandings and develop cultural awareness prior to departure. Professor Deardorff has worked in the area of international education for over twenty years with experience in study abroad, international student services, cultural programming, and ESL teaching/teacher training. She is the Executive Director of the Association of International Education Administrators, a national professional organization based at Duke University, where she is a Research Scholar in the Education Program. Professor Deardorff is also a Visiting Professor at Leeds-Metropolitan University in the U.K., an Adjunct Professor at Monterey Institute of International Studies, and is on the faculty of the prestigious Summer Institute of Intercultural Communication in Portland, Oregon. She is internationally renowned for her research on intercultural competence and international education assessment. Professor Deardorff was the Keynote Speaker at the 2014 ISANA Conference in Adelaide, South Australia, where she kindly spoke to Project Leader, Dr Tracey Bretag. Professor Deardorff answered five key questions relating to the Project’s objectives. Videos of Professor Deardorff’s interviews are included throughout the website. Seven students who had recently completed a study tour to an Asian destination generously spoke to Dr Tracey Bretag, answering just one important question: “What was the most important thing you did to prepare for your study tour?” Their responses highlight the value of some simple but critical pre-departure preparation, including: meeting study tour participants before travelling, gaining cultural information from destination country students, preparing for assessments, and doing some background reading. Videos of the students’ interviews are also included throughout the website. The Ready for Take-Off: Preparing Students for Intercultural Learning in Asia project commenced in September 2014 and is funded by the Australian Government Office for Learning and Teaching (OLT Reference number: SD14-3759). The University of South Australia leads this project. OLT information for this project can be found here. Support for this project has been provided by the Australian Government Office for Learning and Teaching. The views expressed on this website, and in associated reports and resources, do not necessarily reflect the views of the Australian Government Office for Learning and Teaching.